When you’re setting up or refurbing a restaurant, it can be difficult to know how to choose the right commercial kitchen. Choosing the wrong equipment can cost your business. And it’s not just the money you spend – it’s also the lost productivity from inefficiency and downtime. 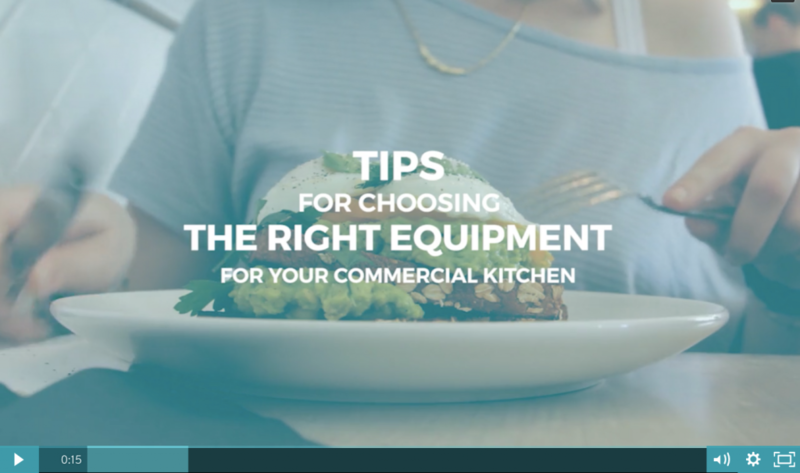 Watch this vlog for my top tips on kitting out your kitchen, so you make wise investments that keep staff happy and processes running smoothly. When you’re setting up or refurbing a restaurant, it can be difficult to know how to choose the right commercial kitchen. Not only do you need to find suitable equipment for your needs, space and budget, but you also need to create a seamless workflow from storage to prep to the line. As your kitchen is one of your biggest expenses, it pays to do some careful planning up front. Following the flow of service, let’s first look at storage. Think about how much space you’re going to need for refrigeration, freezer and dry storage -and make sure there’s adequate access for deliveries to be dropped out of the way of kitchen staff but close to the storage area. Choosing the right refrigeration equipment depends on the volume of food you need to chill. You don’t want to underestimate the space you need, so take into account things like room for leftovers and pre-prepped food that might need to be kept overnight. If you’re kitting out a smaller kitchen, consider space-saving counter refrigeration that can be integrated into your prep area. Or, you might need an upright cabinet, which can vary in size from single-, double- to triple-door, depending on your needs. For very large kitchens, you may need to invest in a cold room. Similarly, your freezer options can be as compact or as large as you need. There are freezer rooms suitable for large-scale operations and chest freezers of varying sizes. At the smaller end of the scale, there are under-counter freezers that can double as prep stations. I mentioned the need for a natural workflow earlier, something that’s vital in commercial kitchens to minimise the movement of kitchen staff and limit the possibility of spillages and accidents. As the prep stage comes between storage and cooking, so too should the prep area. Hygiene is paramount here, as the risk of cross contamination is at its highest. So not only do you need to factor in separate sinks for food prep and hand washing, but consider using colour coded chopping boards to keep raw meat separate. Stainless steel is best for prep tables as they’re easiest to wipe clean. 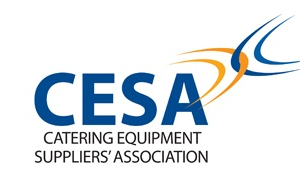 And don’t forget food preparation equipment – make sure you have enough counter space and storage for kettles, mincers, mixers and any weighing and measuring equipment you might need. For cooking equipment, look at the power supply available. Gas ovens are more responsive to adjustments in temperature, but it can be costly to install gas if it’s not already in the building. Though gas might be the more popular choice in commercial kitchens, electric ovens are considered to cook more evenly and run slightly more efficiently – so there are benefits to both. You might need to consider steamers, pressure cookers, griddles or convection ovens, but if you’re short on space, a multi-purpose combi-oven can deliver a range of different cooking styles in one machine. For microwaves, make sure you have a commercial model. Domestic microwaves can’t keep up with the demands of a commercial kitchen, so it pays to invest in the right sort of equipment. 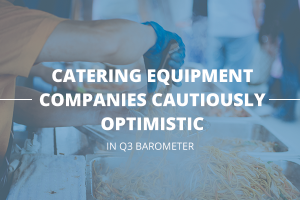 Likewise, if you need a fryer, there are dedicated commercial fryers ranging from space-saving countertop options to heavier-duty, free-standing fryers. Whatever cooking equipment you choose, you’ll need to adhere to strict regulations surrounding extraction units. By law, you need an interlocking system with an automatic gas cut-off and adequate ventilation. At the end of our kitchen workflow, we have dishwashers, sinks and glass washing machines. Your dishwashing equipment is vital to service, so take time to work out the volume of dinnerware you’ll use before deciding whether you need a smaller under-counter machine, a pass-through or conveyor dishwasher. In short, there are plenty of options for kitting out your commercial kitchen. But remember – the key elements are workflow, space, and matching the right equipment to your needs. Choosing commercial kitchen equipment takes a lot of planning in terms of design, use of space and finance. The key elements are workflow, space, and matching the right equipment to your needs. And don’t make one of the most common mistakes – choosing items with a low ticket price that will cost you in repairs, replacements and downtime.